DJ Disco Wiz joined the Hip Hop TakeOver on WBAI, June of 2006. The show was The Originators hosted by B-Boy Omega. 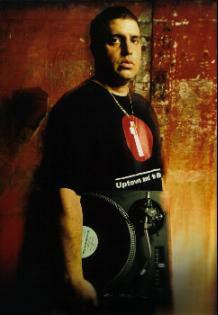 DJ Disco Wiz, born in the Bronx NY, is credited for being the first Latino DJ in hip hop. Disco Wiz, of Puerto Rican and Cuban decent, formed a group called the Mighty Force crew in the mid to late 70's with friend Grandmaster Caz (known then as Casanova Fly). The Mighty Force Crew also presented the first Latino rapper, Prince Whipper Whip.